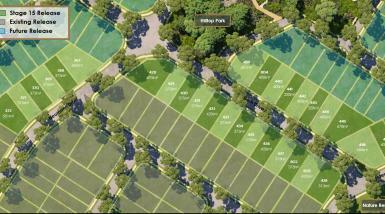 Woodlinks at Collingwood Park | House and Land Packages in Collingwood Park, Brisbane Village Building Co.
Woodlinks Village is located just 30km beyond the buzz of Brisbane City, within a hidden pocket of tranquillity, natural beauty awaits. A haven of leafy streetscapes, wide open spaces and creekside walks, this epitome of great Australian lifestyle brings together the warmth of neighbourhood values, surrounded by nature and all you could ever desire. A home in Woodlinks is a home connected to all that you need. There's shopping, entertainment, sport, education, and wellness facilities galore. A new home in Woodlinks means life more relaxed and refreshing. With a choice of house and land packages and home styles, an exciting new beginning needn’t wait. Designed to bring the best of the great outdoors in, each home will feature light, airy spaces with all the modern creature comforts you could desire. 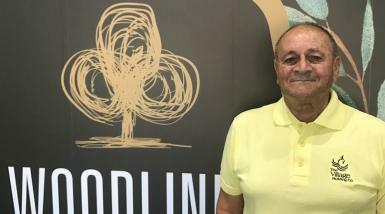 Woodlinks will be a safe, walkable neighbourhood, with paths and tree-lined trails that connect the entire community. Drawing from the leafy surrounds of Collingwood Park, a stunning nature corridor provides space for picnics and play areas while providing a natural link between two significant Koala habitats, filling the air with refreshing people spaces and birdsong. Whether you dream of low- maintenance chic or a family home with room to grow, it’s right here in Woodlinks. Carefully crafted to nurture a true sense of community, Woodlinks is set to be a safe place to grow for generations to come. Whatever your lifestyle, there’s a home for you in Woodlinks. And whichever land or design you choose, it will be an embodiment of this truly refreshing neighbourhood. Gently cascading from the lush creekside parkland to the elevated grounds of hilltop lookout, an unmistakable village aesthetic pervades every space and home design. At Woodlinks, you have two ways to make your dream home purchase a reality. 2.Select a house and land package from one of our preferred builders as listed in house & land. Taking pride of place in the 'dress circle' of Ipswich, Woodlinks has been meticulously planned, from its perfect position among established amenities to the long-term preservation of precious flora and fauna. Here, a walk to school will never be a chore. With plans for over 5200sqm of community space and an incredible playground, you'll spend more time enjoying the great outdoors in this inspiring new neighbourhood. From the hilltop views of the playground to the meandering creekside reserve, Woodlinks is a neighbourhood more connected to the great Australian lifestyle. Lavished with lawns, tree-lined footpaths and bushland trails, this is the defining character of our beautiful new community. 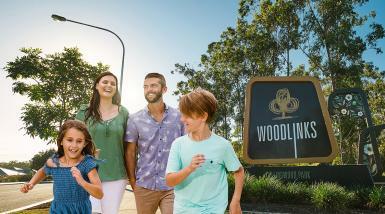 Thoughtfully designed with growing families in mind, every nook of Woodlinks is safe and refreshing; for wherever you wander, you will be met with fresh air and the warmth of a friendly hello. Peppered with pathways, meeting points and informal picnic and play spaces, this is where life is more refreshing, every day. 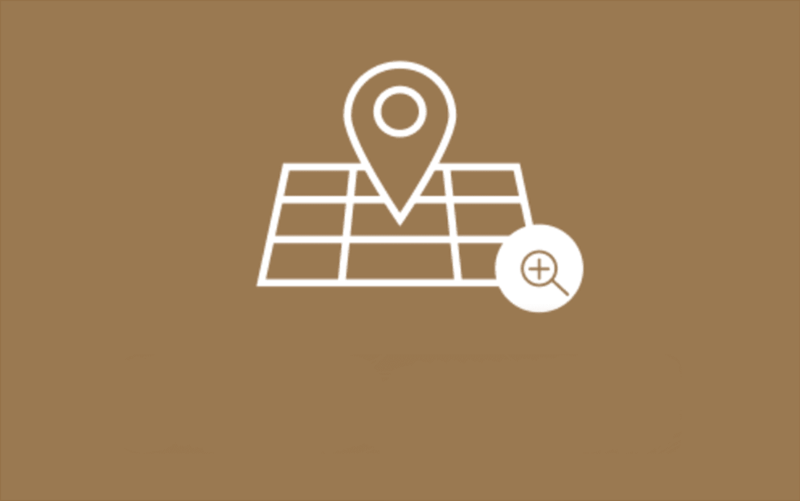 This section gives you handy access to all the details related to your block of land at Woodlinks Village, to enable you to plan the building of your new home. 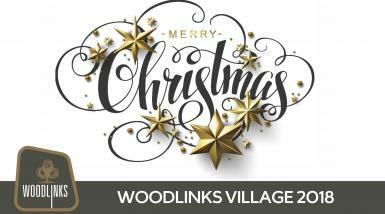 If you are unsure of which Stage your block is located within, please refer to the Plan of Development or call the Woodlinks Village sales team on 1800 316 348. Plan of Development – overall. Plan of Development – Phase 1. Stage 4 - Registered Survey Plan. Stage 4 - As Constructed. Stage 4 - Level 1 Compaction. Stage 5 - Registered Survey Plan. Stage 5 - As Constructed. Stage 5 - Level 1 Compaction. Stage 6 - Registered Survey Plan. Stage 6 - As Constructed. Stage 6 - Level 1 Compaction. Stage 7 - Registered Survey Plan. Stage 7 - As Constructed. Stage 7 - Level 1 Compaction. Stage 8 - Registered Survey Plan. Stage 8 - Level 1 Compaction. 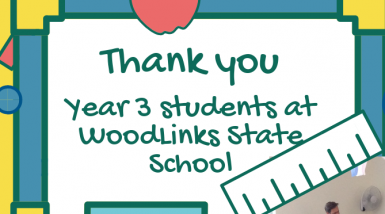 A HUGE thank you to the Year 3 students at WoodLinks State School, who earlier this week helped our team brainstorm new street name ideas for the next phase of Woodlinks Village! We can’t wait to share these suggestions with Ipswich City Council for their consideration. THIS trending area has young families flocking to just south west of Brisbane in favour of its picturesque leafy landscape, affordable housing and, family friendly lifestyle. 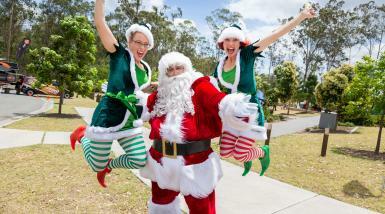 Woodlinks Village hosted its inaugural Christmas Party on Sunday, December 9, with a large crowd of locals enjoying a range of free entertainment and family-friendly activities. The Woodlinks Village Christmas Party in the Park included free photos with the man-in-red himself and saw local families lining up for balloon demonstrations, face painting, a jumping castle and food trucks. Join us for a festive celebration, with loads of free family entertainment and giveaways! 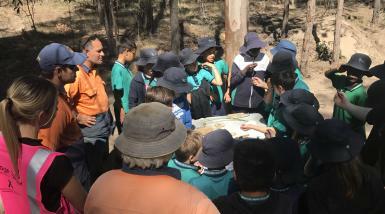 Our Brisbane team enjoyed a fun filled, educational Cultural Heritage excursion with Woodlinks State School students and teachers at Woodlinks Village. Thanks for participating!